The Dept. of Chemistry at UNK houses a wide range of basic and advanced research instrumentations available for both faculty and student use. You can view all of the equipment in the image gallery below. Entries marked with asterisk (*) indicate equipment purchased with external grants or private funds. Desktop-size low-voltage electron microscope with SEM, TEM, STEM, and ED modes. 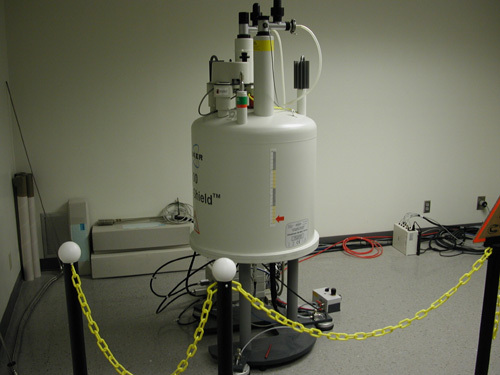 This Nuclear Magnetic Resonance Spectrometer was purchased in 2001 with a grant from the University of Nebraska Foundation. It includes a broadband probe, variable temperature controller, Z-gradient 2-D acquisition, and network capabilities. 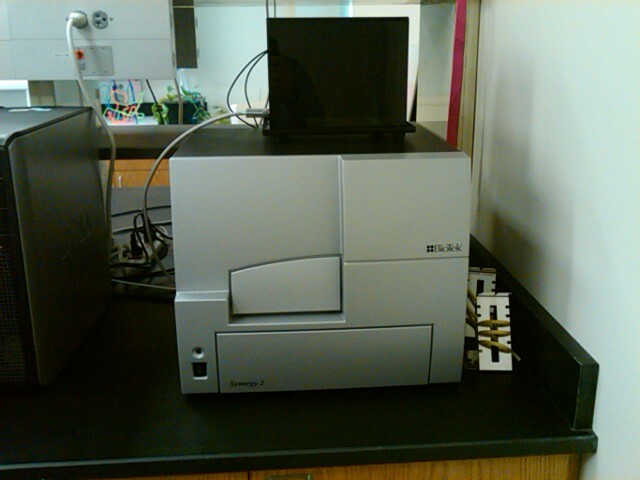 Agilent 7820 A GC-MS with autosampler. This instrument includes an autosampler and enhances molecular structure characterization capabilities in our organic and analytical chemistry areas. This Spectrum One liquid-nitrogen cooled CCD array spectrograph is outfitted with both 600 groove/mm and 2400 groove/mm gratings. 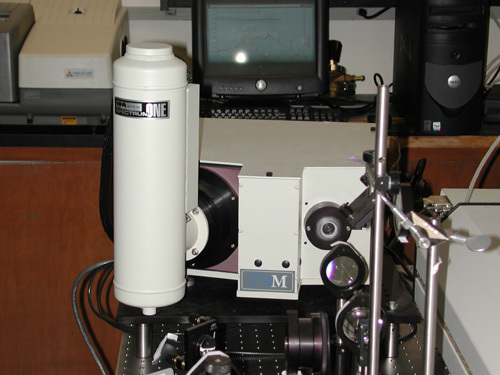 In normal resolution mode (for fluorescence measurements) the instrument has a resolution of 0.15 nm throughout the ultraviolet-visible spectrum. It is capable of achieving signal to noise ratios in excess of 10,000 in a fraction of a second while simultaneously measuring all wavelengths in a 150-nm window. In high resolution mode (for Raman spectroscopy), the instrument has a resolution of 0.035 nm (about 1.5 cm-1 near 488 nm). Excellent quality spectra can be taken in about one minute for pure samples or a few minutes for proteins in solution. Custom-built vapor deposition apparatus. 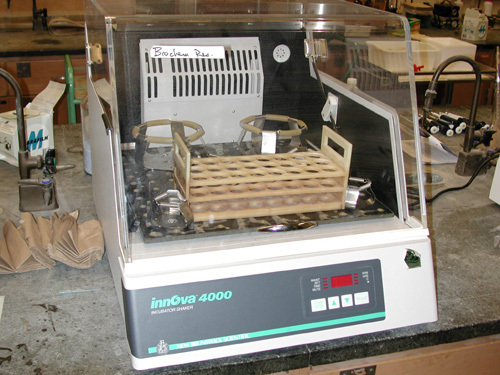 This custom-built apparatus is used to selenize and anneal (heat) solid-state materials samples. The 8000W Quad Ellipse Chamber Heater shown has manual and computer temperature control options with a maximum heating temperature of approx. 1000 oC. The tubular quartz sample chamber may be evacuated or flushed with a gas of choice. The differential scanning calorimeter measures heat transfer during material phase changes. FT-IR spectrometer. This instrument scans in the near-, mid-, and far-infrared regions with resolution down to 0.09 cm -1 and scanning speeds up to 65 scans per second. Detectors employed are a liquid nitrogen-cooled MCT (mercury-cadmium-telluride) detector for the near- and mid-IR regions and a polyethylene film detector for the far-IR region. Included are three beamsplitters: quartz (near), KBr (mid), and solid substrate (far). The department also has the following sampling accessories: traditional disk and solution cell holders, diffuse reflectance, specular reflectance (fixed 30 deg and a VeeMax II accessory for variable 30-80 degree incidence), and horizontal attenuated total reflectance (HATR). 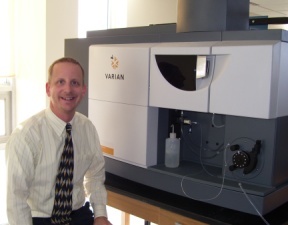 Classes and research groups utilize this instrument for characterization of organic and inorganic chemical reaction products as well as thin solar cell material films. 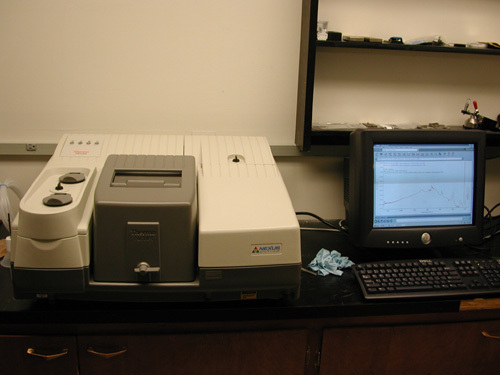 Instrument features include spectral substraction, mathematical correction, baseline correction, and a library of thousands of reference IR spectra. Varian 720 ICP OES. This Inductively Coupled Plasma-Optical Emission Spectrometer is used for metal trace-level and stoichiometric analysis of inorganic compound and material samples. Inova 4000. 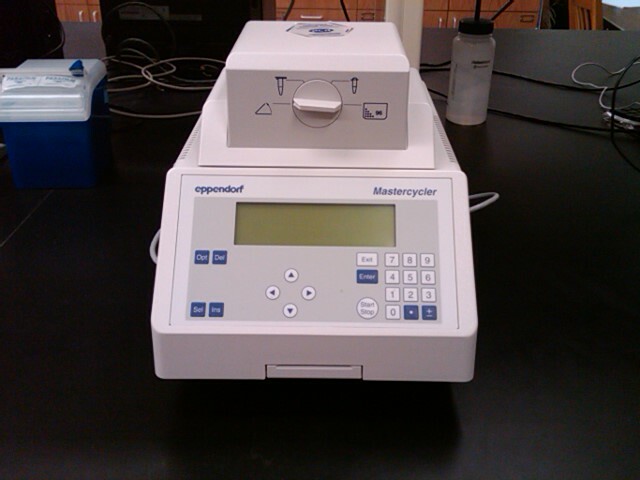 This instrument is used by students in our biochemistry teaching and research laboratories. LAB-RAM Hr800. 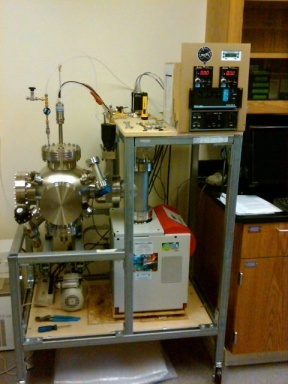 This instrument is used to acquire Raman spectra of solid-state samples. Vibrational frequencies as low as 75 cm-1 may be observed. Includes CCD detector and optical imaging that enables focus on individual particles as small as 10 micrometers in diameter. Nitrogen die, argon laser. 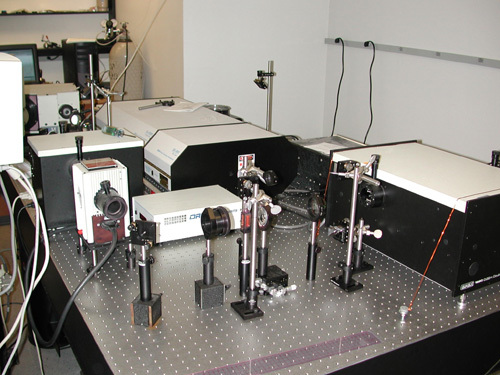 fluorescence (broadband and laser-induced) and Raman spectroscopy can be performed using this system, which was purchased through a grant from the University of Nebraska Foundation. TA instruments Q600 simultaneous differential thermogravimetric analyzer. Simultaneous thermgravimetric analysis (TGA) and differential scanning calorimetry (DSC) can be performed on this instrument. Custom built thin film sputtering system. This DC thin-film sputtering chamber is used for the fabrication of metal and metal oxide thin films in solar cell materials research. Veeco dektak 150. 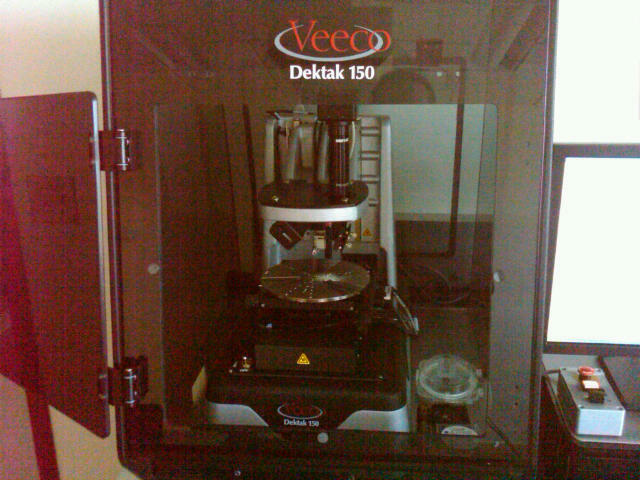 For measurement of thin film thicknesses and roughness that range from 10 nm to several hundred microns.